Sleeping pods are becoming an ever increasing trend. But what is a sleeping pod? A sleeping pod is a private, quiet and relaxing space to escape to within many different environments. Within an airport to allow passengers a space to sleep, work or rest while waiting for their flight. Within an office environment to assist with employee wellbeing, allowing a space for rejuvenation. Universities offering students and employees a like a space to unwind or nap during classes or exams while still being on campus. These are just a few examples of where sleeping pods are currently being used around the world. 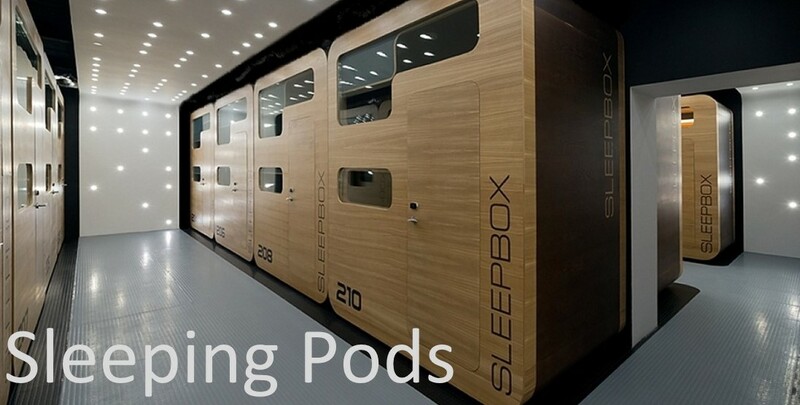 Sleepbox is the perfect solution for sleeping pods. Each Sleepbox is made with the finest furnishings and technology within allowing the user to rest in comfort or work in a private soundproofed environment. Where would you like to use a sleeping pod? Have a look through our website or contact us here at Sleepbox to see how you could best use a Sleepbox.